Firstly, make sure you attend the Construction Launchpad (Tuesday 8:00 a.m.- 9:30 a.m). If you want to keep your finger on the pulse of the industry, this is your session. You'll hear from some of the industry's brightest stars as your peers showcase their iconic projects. And you'll get a glimpse of the next big thing for construction, and learn about how last year's "big things" have evolved. Key topics will focus on how technology can help reduce risk and improve safety on the job site, regardless of your company's size. Julie from this blog is hosting the first Autodesk Women in Construction reception (Tuesday 4.30pm – 6.30pm), there's still a little space if you hurry. The exhibit hall will again be a focus area and you can look forward to seeing the 'Construction Site of the Future' in a way you've never experienced it at AU before! If you arrive early and are interested in MEP or Structural fabrication you can still register for the Fabricator's Forum on the Monday back on the registration page. And make sure you're ready for this joint Leica and Autodesk announcement, so mysterious and secret that even I don't know what it is! This year we have over 80 construction focussed sessions at AU and another 40 with a construction connection, that's compared to just short of 60 last year! This year I have three classes at Autodesk University, I would strongly advise anyone thinking about a similar feat for next year, don't!! Anyway both my beginners and advanced Navisworks classes, CS21178-L - Introduction to Navisworks (Tuesday 3:00 PM - 4:30 PM) and CS21184 - Beyond Design—Advanced Navisworks Workflows for Your Project (Wednesday 1:00 PM - 2:30 PM) are full, however add them to your favourites and keep an eye on the app, sometimes spaces become available nearer the time as people make their last minute selections. Alternatively, you can head to the room and cross your fingers that there's space in the back of the room. 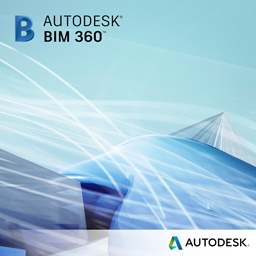 For those of you that use Navisworks day in day out, I'm looking forward to seeing you in the 'Beyond Design' Class and I hope you bring some of your top tips along too, we'll give you a chance to share them! My third class, CS21174 - What Is the U.K. BIM Mandate—and How Might It Affect You, Wherever You Are? (Thursday 8:30 AM - 9:30 AM) has space which took me a bit by surprise with the increase in standards and mandates across the world. Although I think a few people were put off by the idea of a class after the big Party at the Promenade the night before. Well this is a great chance to learn more about how you might be impacted by the UK way of doing things even if you live on the other side of the world, well worth powering through that hangover! And as always, feel free to say hi to any of us at Autodesk, make new friends and try to learn something outside of your day to day work and break a comfort zone!